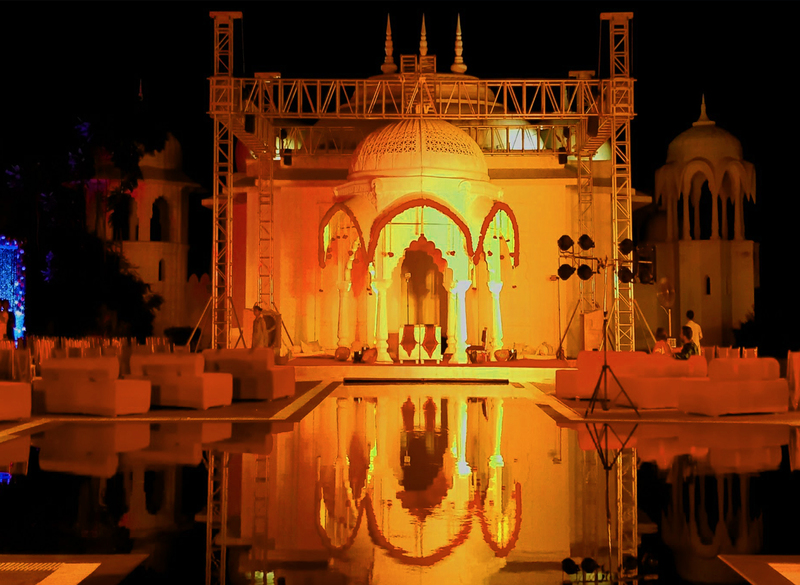 Weddings in India for some reason have become synonymous with a night function. Although in some communities a day wedding is still a trend but often when it comes to a reception or a public celebration after the ceremony many people still end on opting for a night function. This is still the popular trend despite the common knowledge that according to most estimates a night function turns out to be definitely much more expensive. In a night function the only option that you have for your guests is to serve them dinner. The standards of time anyway are so fluid in India, most of all during an occasion such as wedding that most guests anyway start arriving at least an hour later than the scheduled timing. Leaving little or no time for any preceding event before the dinner. But a day event definitely gives you an edge there. If it's a day event you will most probably pick up a weekend so be brave and break some rules. Organize a brunch wedding party for your guests. This may sound new but is definitely a great way to engage your guests for a longer time. In case you feel that your guests will be too lazy to get excited at an early function then think about a wedding lunch followed by high tea. During the day you have additional advantage of saving big on lightening and you can use part of that saved amount for the high tea complete with clotted cream and scones and your guests will love this English experience. The choice of a day function also gives your guests a chance to be semi formal. Ask them there’s no reason to feel uptight and dress in tuxedos but enjoy the day feeling comfortable and making the most of the extended hour. By virtue of having more time in your hand you can organize a few activities for your guests so that they feel entertained. How about a short play or karaoke evening? This way you will make your wedding a ceremony not just for you where the guests are only concerned with the feast on offer but will make them a part of the process. For any guest attending a function being a part of your important event are some of the most memorable memories they will carry back home. If you are still missing the lights and the sound then ask your guests to stay back till dusk and you can do a little light show just as its dusk time. Arrange for sky showers and sparkles and well you truly have a wedding function straight out of heavens. Nov. 15, 2017, 7:09 a.m.